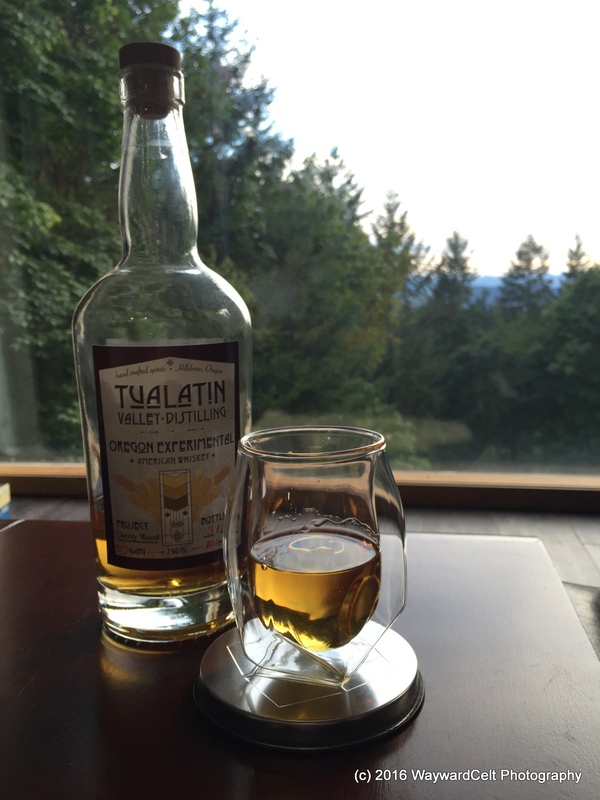 This entry was posted in Accessories and tagged glassware, glencairn, norlan, review, traditional, tulip. Bookmark the permalink. A very informative comparison. I’ve been considering purchasing a set of the Norlan and was very curious if there was a noticeable difference. I was surprised to hear the Norlan is lighter because from the photos I would have thought the opposite. 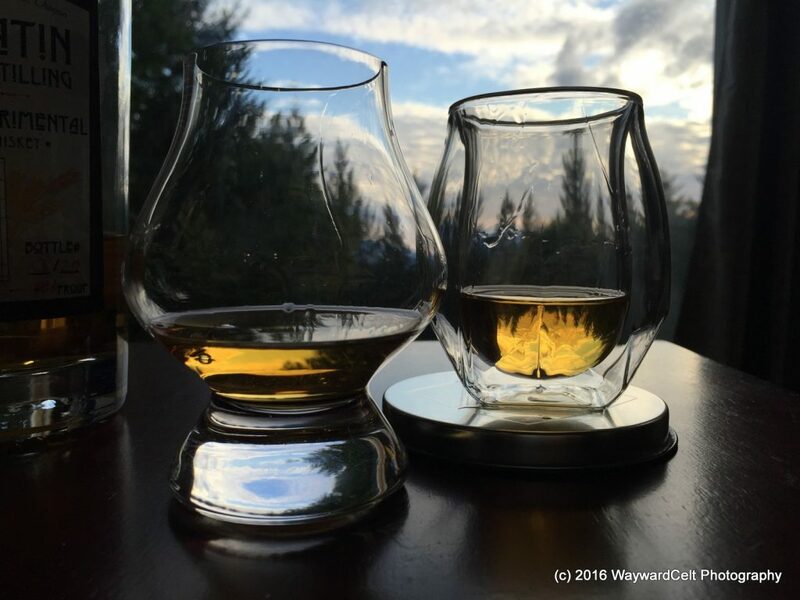 I will probably still purchase a set for my Scotch Bar and have some fun with friends doing our own comparisons. Thank you so much for taking the time to perform and share this comparison. Seems like a cool glass and I would probably buy one if they weren’t $30 a piece (with shipping). When I received my two Norlan glasses I was ecstatic. The design was everything I’d been led to believe it was, making these the prettiest glasses I had for drinking from. 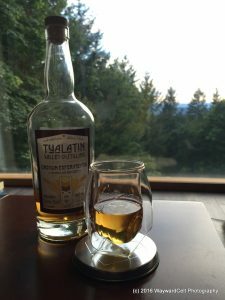 I began sipping my whiskey from them and enjoyed every bit of the experience, until I found broken glass in my whiskey. 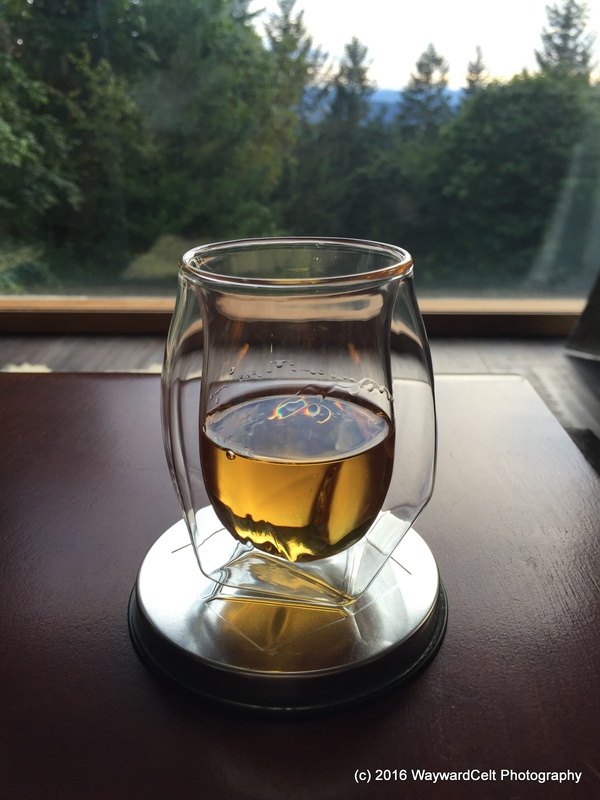 It seems the Norlan glass is only good if you don’t like your whiskey cold from ice cubes. You know the typical manner of placing ice in a glass, right? Drop the cubes into the empty glass, then pour the whiskey on top. You can’t do that with the Norlan glass, as the wall of it is far too thin and breaks easily from a single cube striking it. I set the broken glass aside, not in the least happy to find such an expensive glass rendered useless. At least I hadn’t swallowed any of the broken glass. 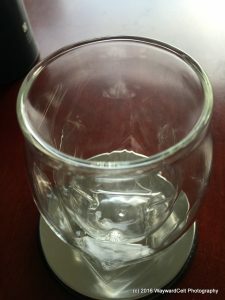 From then on I placed my ice in my lone existing glass as carefully as possible, but found that swirling the ice while drinking is just as dangerous as dropping the ice into an empty one of these glasses. 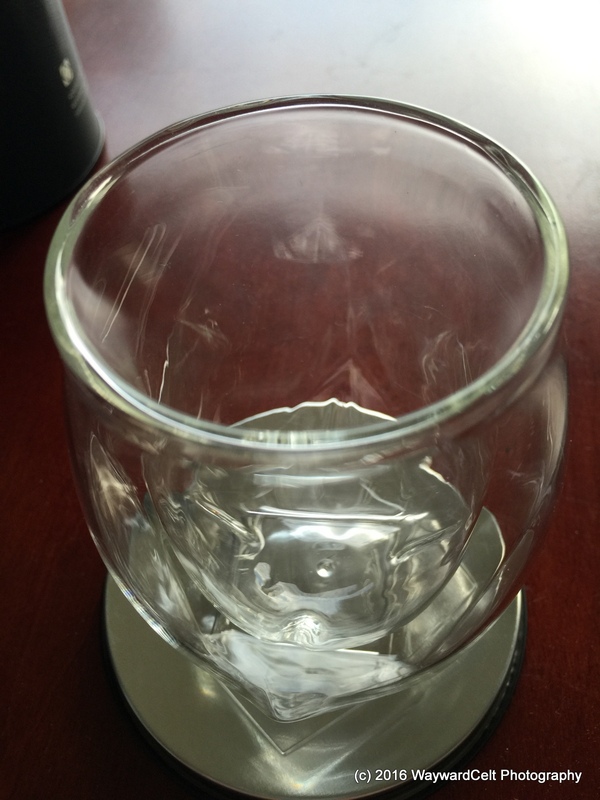 I had written to Norlan and told them of my displeasure when the first glass broke. They responded quite well in sending me a replacement and only THEN informing me the Norlan glass was not designed for placing ice within. THAT tidbit would have been nice to know from the onset, thank you. When all my carefulness in drinking from the Norlan glass resulted in my second glass STILL breaking I set the replacement glass aside, afraid to ever use it again, for fear of one day swallowing broken bits of glass. Thank you, Norlan, for creating an expensive glass I cannot drink from as I am used to doing, since your glass does not “play well” with ice. 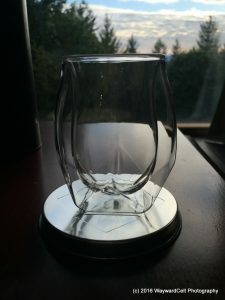 My recommendation on the Norlan glass? It’s fine as long as you drink your whiskey at room temperature, but if, like me, you prefer your drink on the rocks, forget this atrocity and go with something better suited for a cold enjoyment. 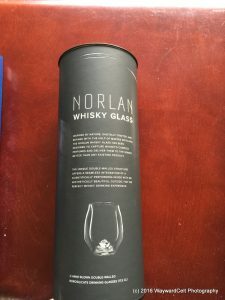 Oh, and I now see Norlan has come out with a “black” glass, which only means they coated the OUTSIDE with black to make it look even cooler than before, BUT the inside wall is just as fragile as before, so the black glass isn’t any better suited for drinking on the rocks as the original. 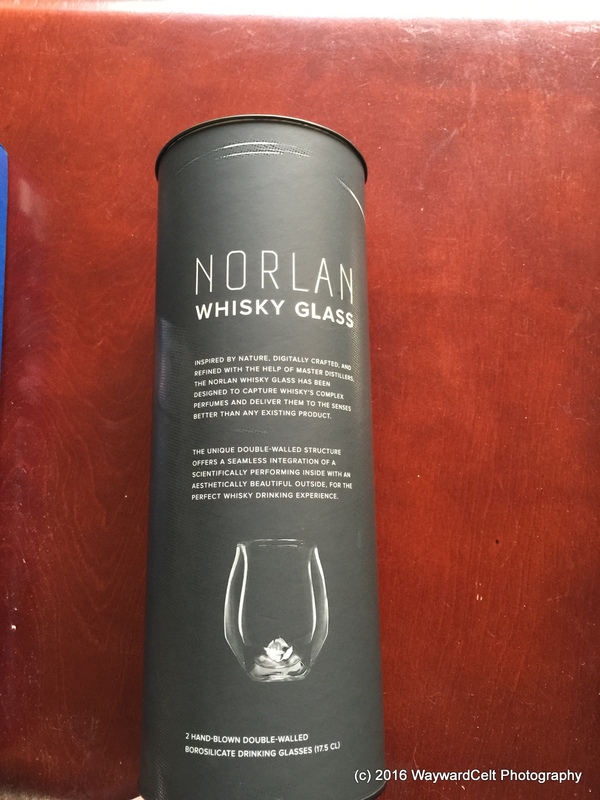 I wouldn’t use the Norlan glass if they sent me a dozen of them for free. In all fairness Norlan maybe should warn potential customers that it is not a glass made for ICE. For whisky with ICE regular tumblers were made.